← Sugar- How Sweet Is It? Hopefully the ‘raw foods as snacks’ week worked out well for everyone! The main idea being to know natural flavors of various foods especially sweet flavor. This natural sweet flavor is present in so many vegetables and fruits but we somehow cannot experience it if we are used to having refined sugar everyday ,even in small quantities. 1. Lemon with water or soda- Simple. Squeeze one whole lemon (assuming it is organic and not a giant sized) to a glass of water( 200 ml) or plain soda water. 2. Ginger lemon – Add juice of a whole lemon , tiny grated ginger and chopped mint leaves to a glass of water. Stir in a dash of roasted fennel before serving. 3. Cool water- To a jug of water, add a few fresh mint leaves. The flavor gets enhanced the whole day. 4. Herbal infusion- Boil some water with spices such as ( choose any one or two) ginger, cinnamon, fenugreek, basil, jasmine, cloves, fennel, cardamom, whole pepper for a few minutes and have hot, cool or cold. 5. 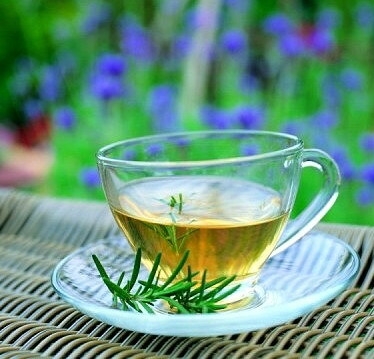 Green tea- try plain green tea without flavors as most of these flavors are extracts. In case you do like flavors, please add fresh only ( like ginger or lemon) and boil with the water before adding tea. 6. Black tea with lemon- self explanatory- can be had hot, cool or cold. 7. Flavored/masala tea- regular tea with milk ,with flavors. Eg. Boil water and little milk( water milk ratio 5:1) with ginger, cloves, fenugreek or cardamom. Add regular assam tea when the concoction boils and turn off heat . Strain immediately and have hot.TIP: while trying to quit sugar, fenugreek or cinnamon are good flavors to add as they are naturally sweet. 8. Fresh fruit juices: It s better to have a fruit instead, as we already discussed in a previous post on Juices. In case there is just no option ( although I think that is impossible if we think of plain water as an option and hunger better be tackled with food), be sure to not add any salt /sugar. 10. Yogurt drink : “Lassi” is a summer favourite. Add a scoop of plain low fat (or homemade)yogurt, add water and blend. For seasoning one can add roasted fennel. 11. Smoothie : Yogurt or milk based drinks- blend with fresh fruits/ vegetables and seeds. One can get interesting recipes on the internet. 12. Water- Best drink in town- for more see blog post ‘ How do you drink your water’. 1. All beverages to be had from hot to cold generally and only from hot to room temperature after meals. That is because our meals are better digested in that temperature range. 2. Tea basics : not to be had on an empty stomach as it cuts off our tuning in to our body especially it’s hunger levels which means once we have tea we usually cannot tell if we are hungry and that is pretty much a blunder for our metabolism. Secondly, tea is addictive in nature, so it’s better to not form a habit of it and rather to use it as an option while indulging. I have seen many people who get acidity or other issues if they do not have their cuppa at a particular time everyday. If that is not addiction, what is? 3. 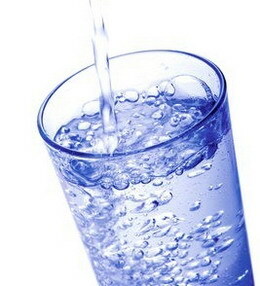 Forming a habit of drinking plain water can be made usually by drinking plain water and not any other beverages. Tea/Coffee is a diuretic, fresh juices have too much fruit sugars, milk/yogurt have natural fat content incomparable to water. 4. Herbal infusions of cinnamon and cloves is better for the winter months.Basil infusion , mint water ,lemon ginger water, “lassi”, smoothies are better options for summer. 5. Drink habits( type of drink, temperature of drink etc) may change in different climate zones but sugar intake to zero is global. Water is a need when we feel really thirsty and at such times, no other drink does the job. Taking a cue from this, water is what our bodies really need. Something natural, organic and fresh is all that this temple of our body needs. Feeding it processed drinks (or food) or overly sweet (unnatural), is just a good way of adding fat and slow poison inside. For this, its a good idea to not buy flavored milk, flavored teas or flavored yogurt.Coffee without sugar is a start, reducing the number of cups in a day is the next step. De addiction to zero cups of tea or coffee is an advanced goal. I do recommend tackling just one habit at a time and then build a lifetime of health. The right path is important and the pace is then up to you. Just remember to keep walking.Cheers! This entry was posted in Nutrition and tagged beverages, drinks, healthy diet, healthy drinks, non fat drinks, sugar free. Bookmark the permalink.